LaRue County Middle School’s 25-pupil strong Kentucky Youth Assembly delegation introduced two bills dealing with voter registration and school resource officers to the three-day gathering of middle school students from throughout Kentucky held December 2-4 at Crowne Plaza Hotel in Louisville and the state Capitol in Frankfort. Sixth grade students Emily Detre and Ellah Pruitt proposed a voter registration bill that each person receive an automatic voter registration by renewal of their driver’s license at age 18 or older. 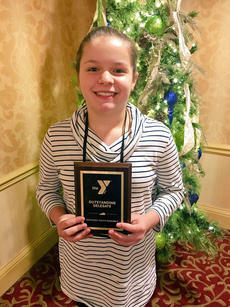 LaRue County High School was honored as a Premiere Delegation at YMCA’s flagship program, the Kentucky Youth Assembly, held November 18-20 at the Crowne Pointe Hotel in Louisville. This program allows students to participate in a mock legislative process which includes writing a bill, presenting the bill to a student-led House of Representatives, a student-led Senate, and an elected governor if passed in both the House and the Senate. 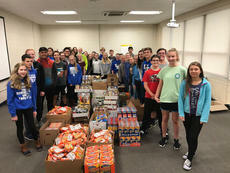 LaRue County Middle School students have collected over 3,000 food items and articles of clothing during a two-week campaign. The food will be delivered to local churches to supplement food baskets and food pantries. Some clothing will go to the Family Youth Resource Center with coats going to Warm Blessings for dispersal. 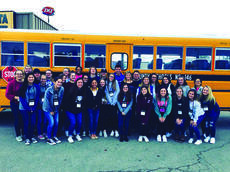 For two days last week, several LaRue County High School juniors learned firsthand about business and economics as they participated in a 4-H American Private Enterprise System seminar at the LaRue County Extension Office. 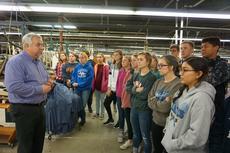 “The American Private Enterprise Program is a long standing tradition in LaRue County,” said Misty Wilmoth, Extension Agent for 4-H Youth Development at University of Kentucky Cooperative Extension Service which, with Nolin RECC and the LaRue County 4-H Council, sponsored the seminar November 12-13. 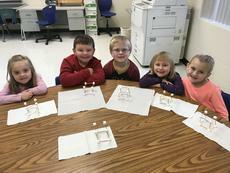 When Hodgenville Elementary teacher Shannon Keen was researching ideas for an October classroom unit, an item on Pinterest caught her eye that gave a new spin to student book projects. 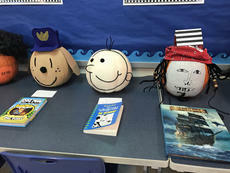 The assignment was to take a small-to-medium-size pumpkin and create a favorite book character. 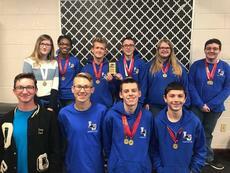 On November 10, the LaRue County Speech Hawks continued their season in Union, KY competing at the Ryle/Beechwood Swing Tournament. A swing tournament is two different tournaments held on the same day at the same location, but hosted by two different schools. 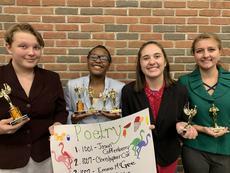 The team advanced students into the finals at both tournaments and placed in the top 8 schools out of 17 in each. 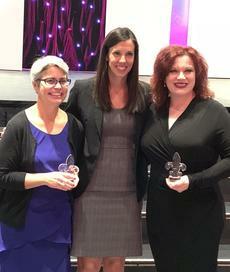 LCHS Head Speech Coach, Katy Blair Cecil was named a 2018 Ambassador for working to bring the National NCFL Speech and Debate Tournament to Louisville over Memorial Day Weekend in 2017. LaRue County High School students had the opportunity to participate in a mock election on November 2. A total of 18 students that meet the criteria of being 18 years old and registered voters were allowed to participate. The mock election was held during lunch for the students.